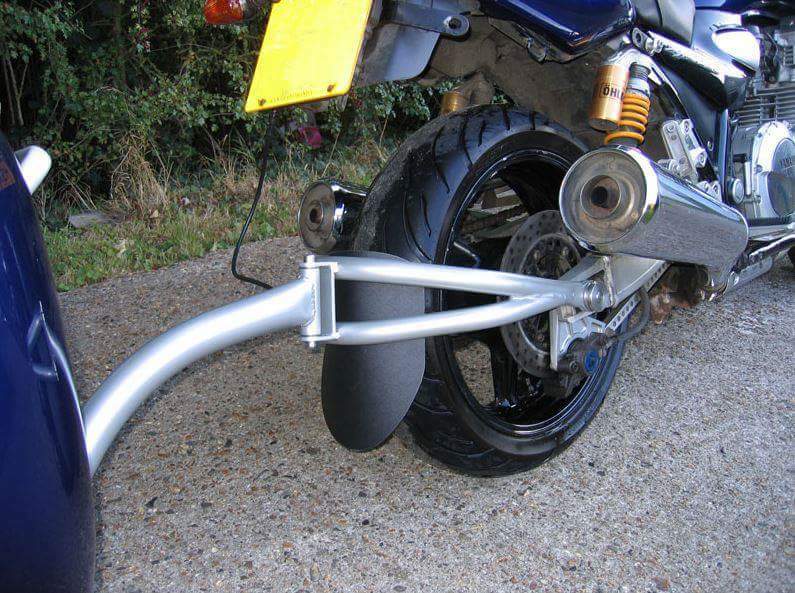 So I am going to start a build thread for my single wheeled trailer project I am building to pull behind my R6 (oooooo I know, the blasphemy of posting an R6 on this page!!!!). I plan on some semi long trips, and do not like the weight loaded on the tail or tank bags. 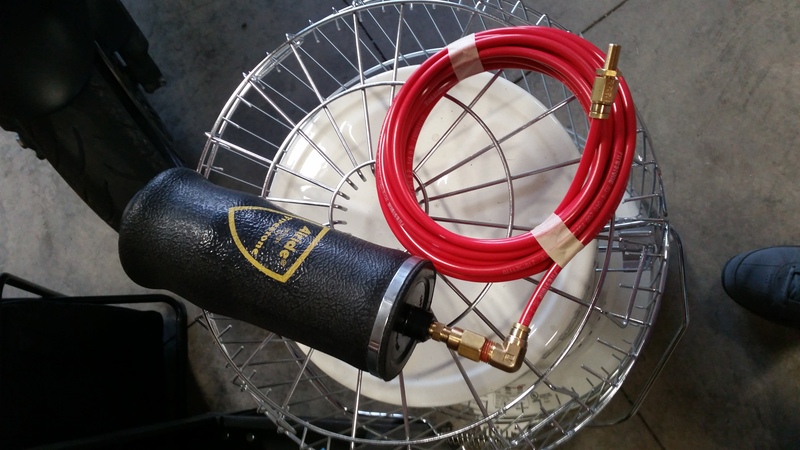 It will allow for some gas cans, cooler, tent, etc to be hauled without trying to strap it all down and tower it on the tail. This will be my second trailer build, so I am taking my pros/cons from the previous build to make this one better. Also, I am hoping to make it so it will hook up to the F4i as well (whats left of an F4i anyways). Since that is my wife's bike, I don't think it will be hooked up to that quite as often. This is pretty much the idea for the trailer. I picked up some air bags to use on this setup. The last setup with a spring worked fine when loaded, but the trailer was not heavy enough by itself to keep it from bouncing. This is the basic idea for the "hitch" portion. The up/down pivot is a rod ran through the hollow rear axle. The left/right pivot is a steering stem style joint. 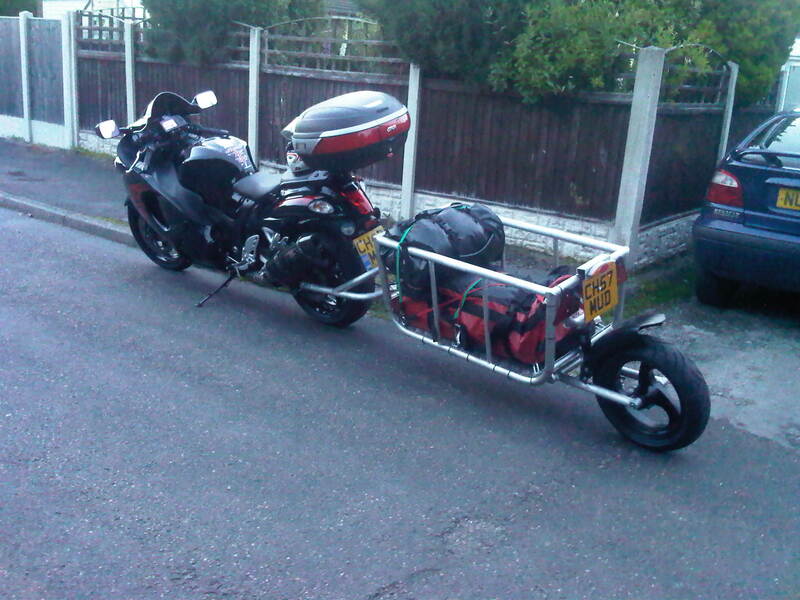 Having two separate joints allows the trailer to lean with the bike, but also have the ability to travel in its own line if needed. 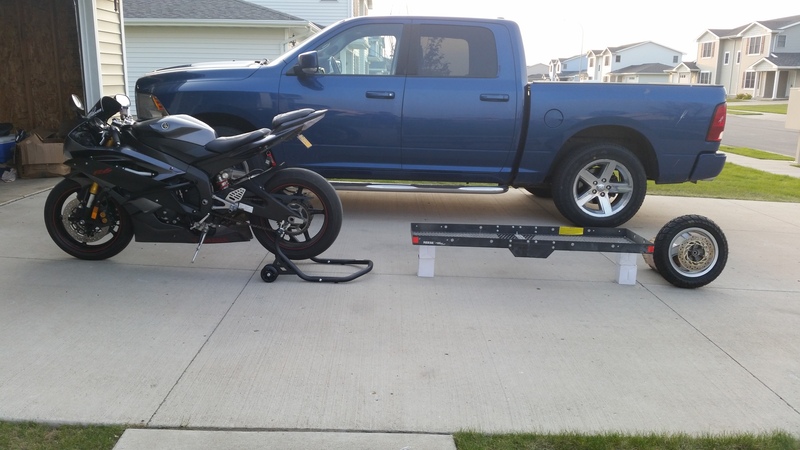 And just as a mock up, here is a 48" platform to get measurements needed for the build, compared to my 2007 R6. Picking up the build material hopefully this week and will start the tube work soon. Last edited by AirmanSkee; 05-27-2016 at 12:32 AM. Thanks Conrice! Going on some much needed leave then will kick off the build when I get back! Got all the material and parts needed. Should go together pretty quickly once I start! Love the idea , watching with interest . Any further updates on this, Skee? Sorry folks, been deployed for the past few months so haven't made much progress. Tons of design work and sketches done, but no progress as far as the actual build. A very interesting project Skee. I just bought 2018 Kawasaki Z125. Was wondering if I would be able to do something like this to pull a small amp and guitar?